The YewdaleKestrel K530 clear wardrobe rail provides a convenient garment hanging facility in an otherwise anti-ligature environment. The rail, including the brackets (500mm; or K530/10 - 1000mm; or K530/15 - 1500mm) and its holders will part from the brackets to allow a 100% fail-safe solution under excessive load. 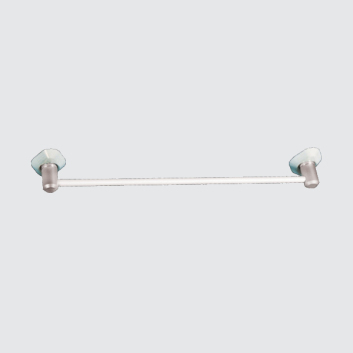 The magnetic anti-ligature YewdaleKestrel® K530 wardrobe rail as manufactured by Yewdale, +44 (0)1268 570900. Lightweight, clear polycarbonate construction complete with holders and magnetic top-fix brackets to allow rail to part from brackets under excessive load.